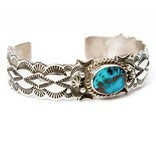 Home / Apache Blue Turquoise Bracelet by Fred Cleveland (Navajo). 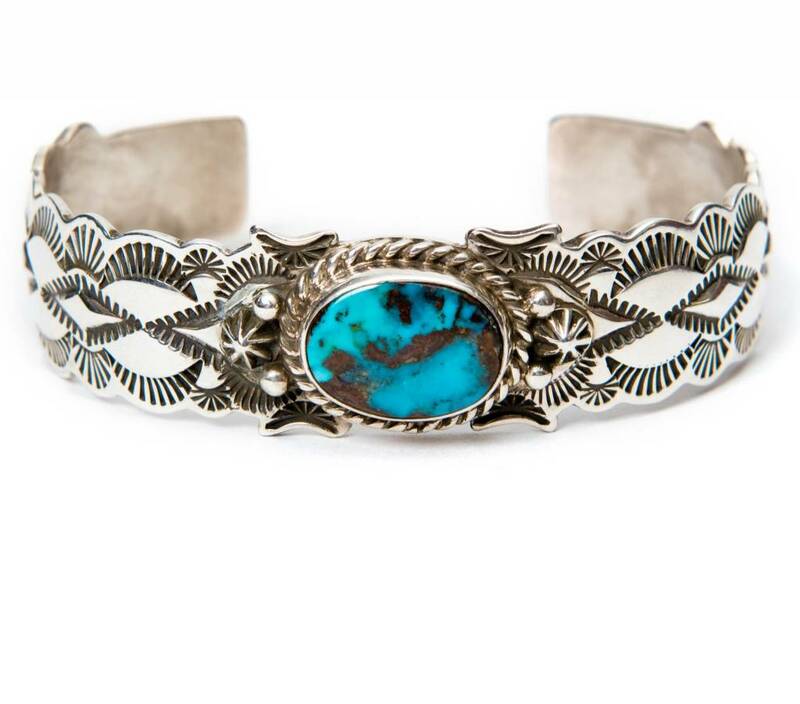 Apache Blue Turquoise Bracelet by Fred Cleveland (Navajo). Natural Apache Blue American Turquoise, about 9/16" long. 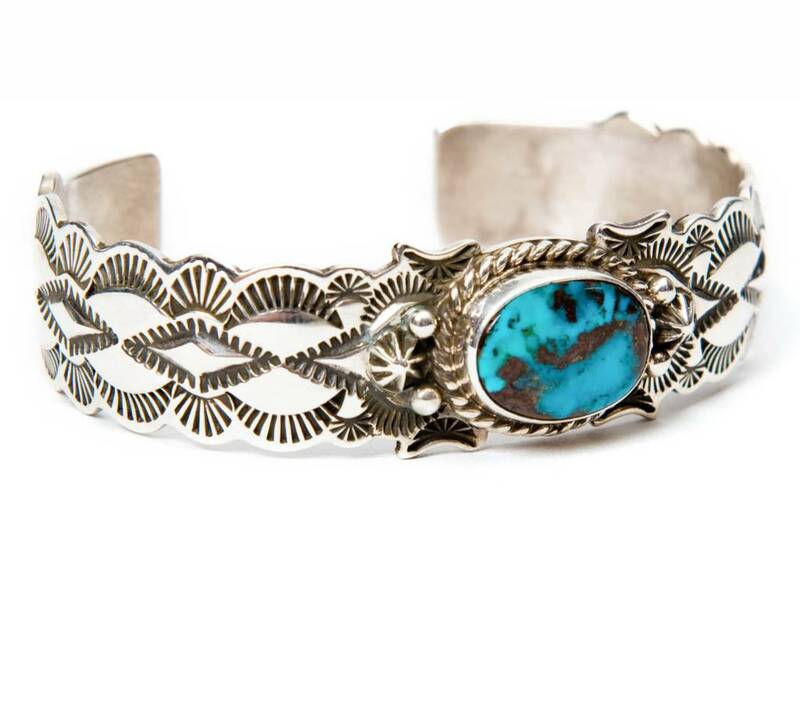 Bracelet is 5 1/2" long with a 1" opening. 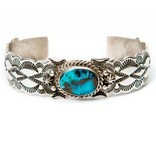 Natural Apache Blue American Turquoise.